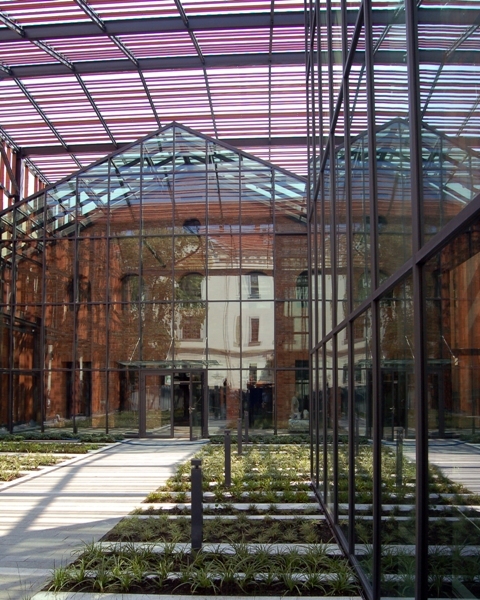 The Małopolska Garden of Art is a space open to artists looking for a new theatrical language and new forms of interactions with the audience.It is the most experimental space of the Juliusz Słowacki Theatre in Krakow. Here, the viewers can break with their habits and try to find themselves in a situation requiring interaction with the authors. The artists, operating at the crossroads of diverse arts, seek inspiration from various artistic areas, with particular emphasis on music and visual elements. MOS combines sound, theatre, installation and multimedia art. It is becoming not only a place where artists looking for a new language for performing arts can prosper, but also a place of promotional events and cooperation with numerous Krakow cultural initiatives. Following the latest world trends, the Słowacki Theatre creates an open facility, the spaces of which are meant to be a meeting place for youth, children, people with disabilities, the elderly, as well as professionals, artists and enthusiasts of various fields of modern art.